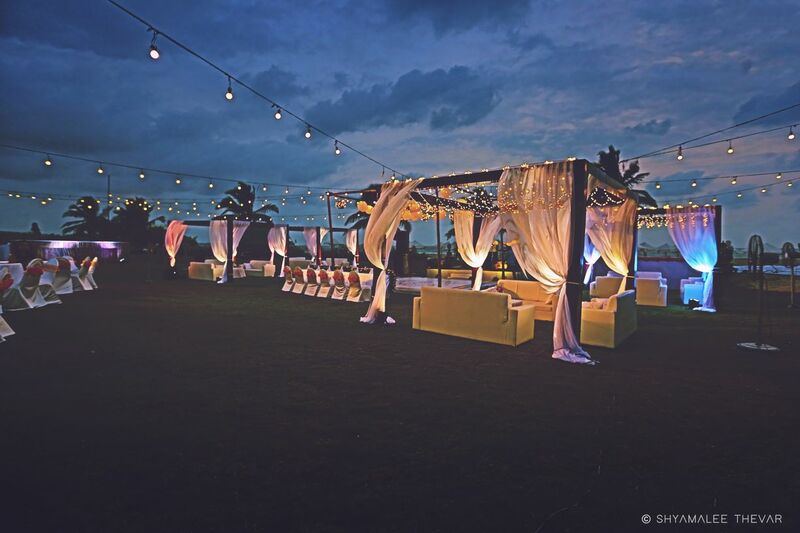 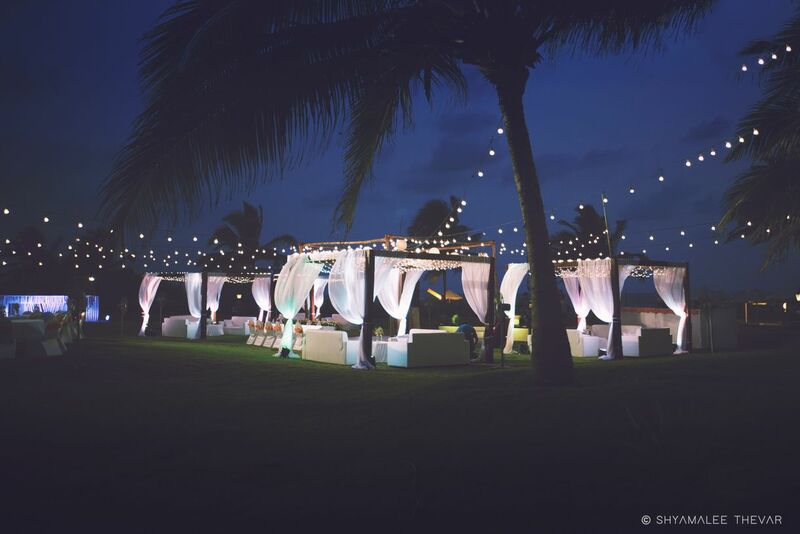 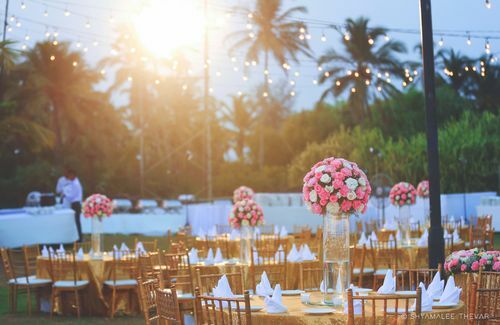 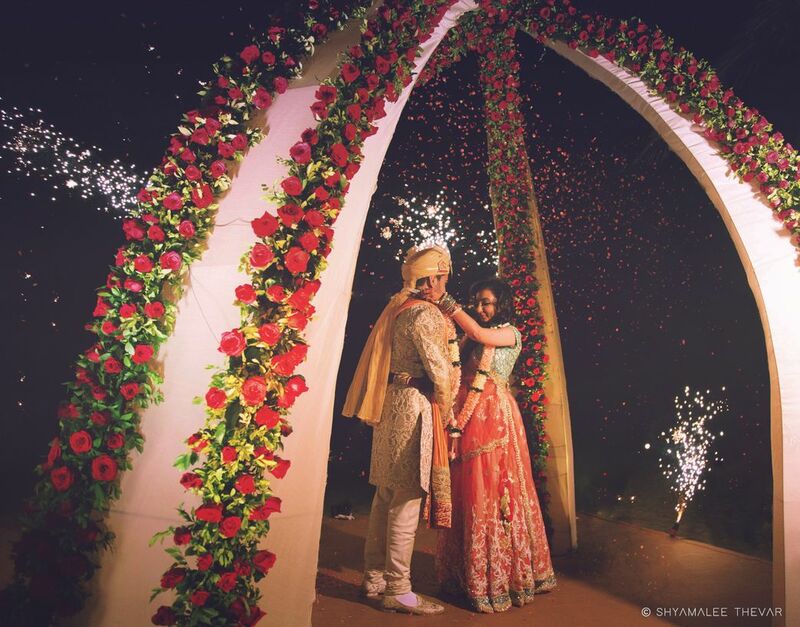 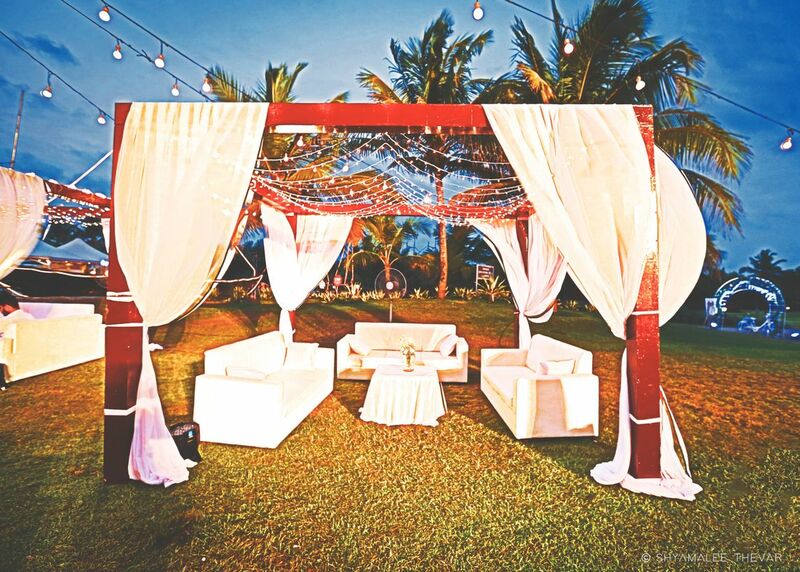 From having a Mehendi by the Beach, to an Evening Dinner – the Beaches and the Sunset of the Holiday Inn, Goa formed the perfect backdrop to this wedding. 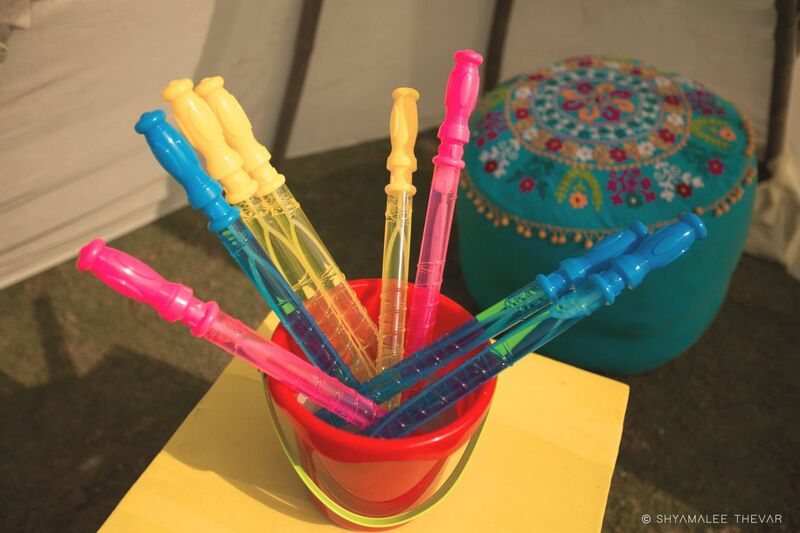 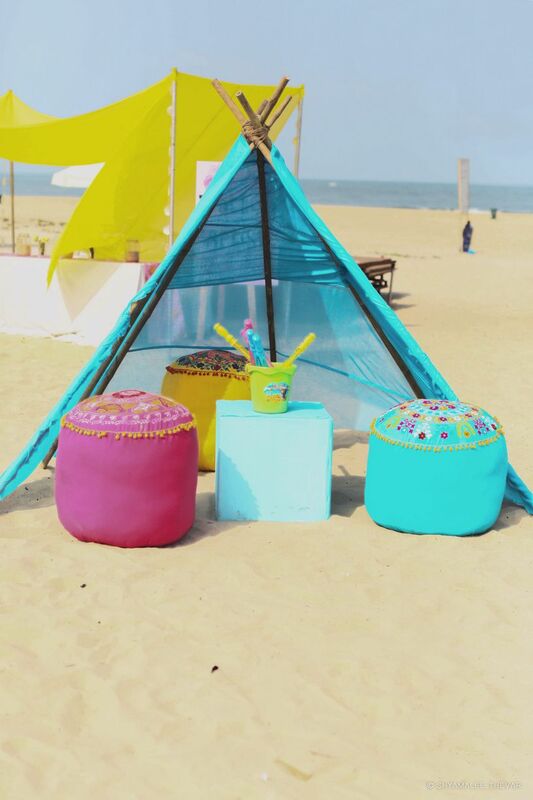 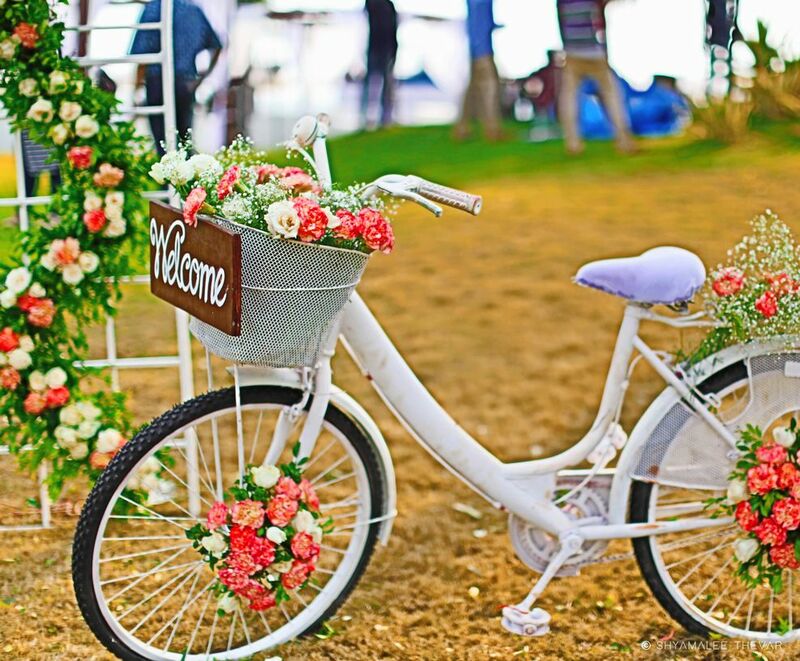 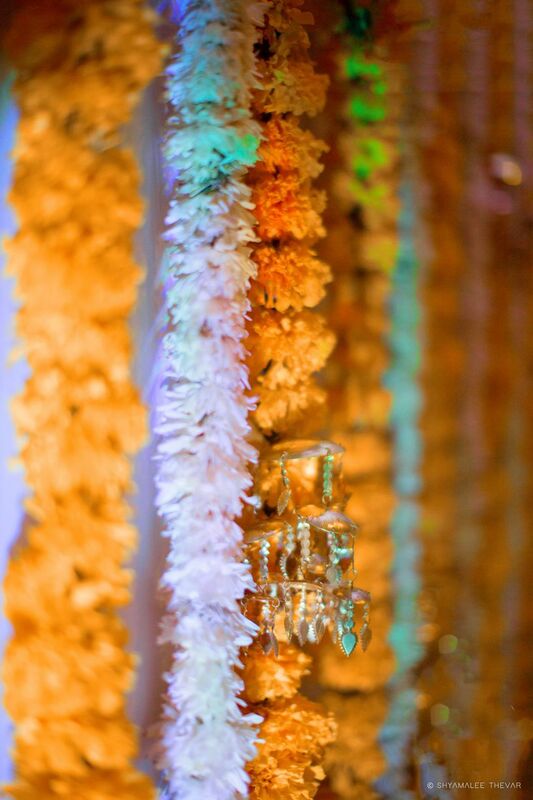 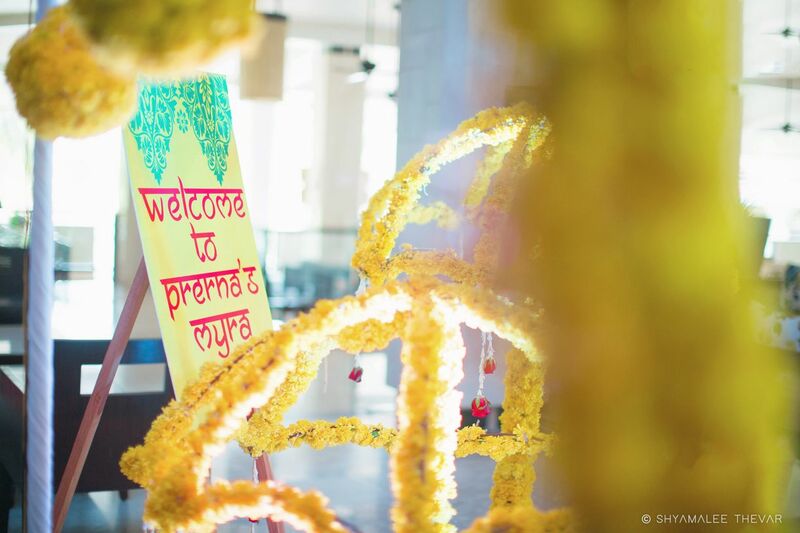 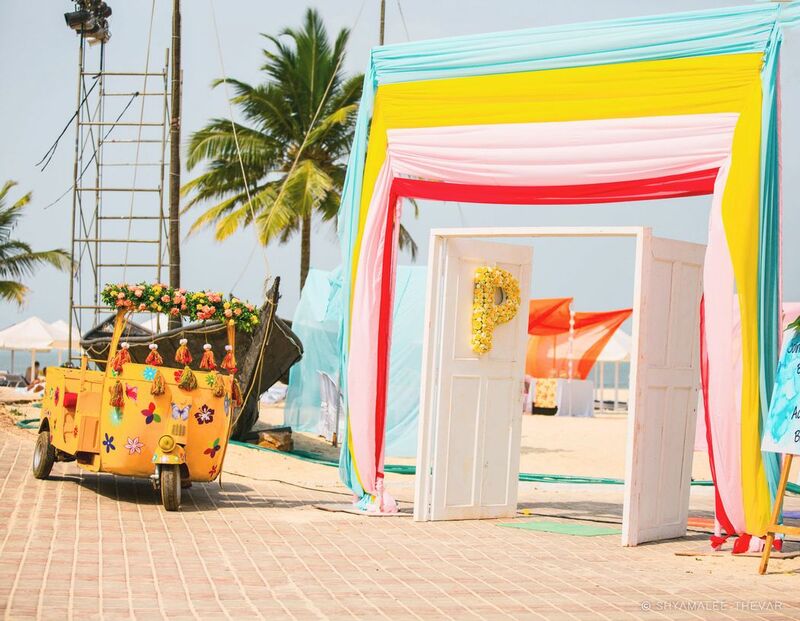 While the Welcome Dinner was an All White Affair, the Mehendi was full of colors – where colorful teepees with poufs and long tables with soft fabric canopies and seashells as centerpieces welcome the guests to a fun-filled afternoon. 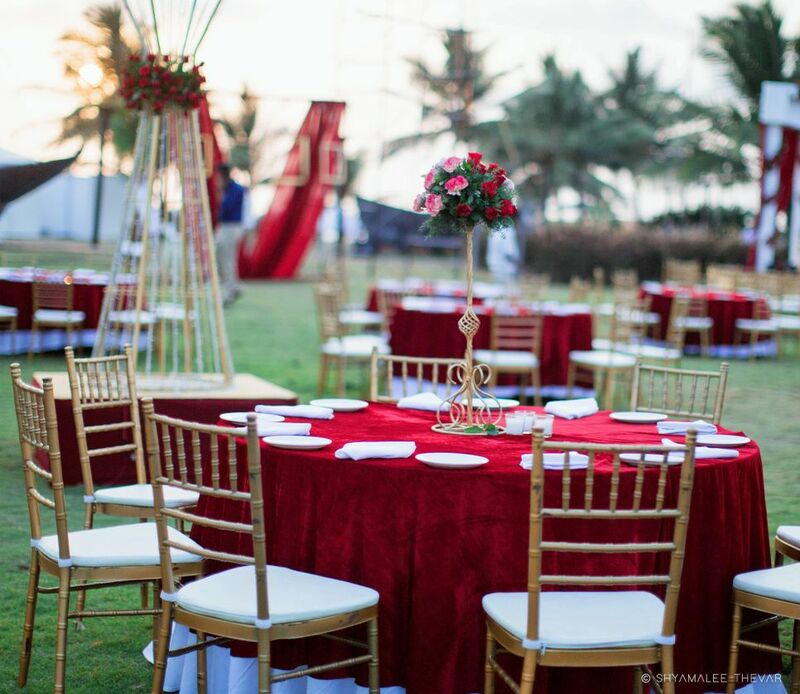 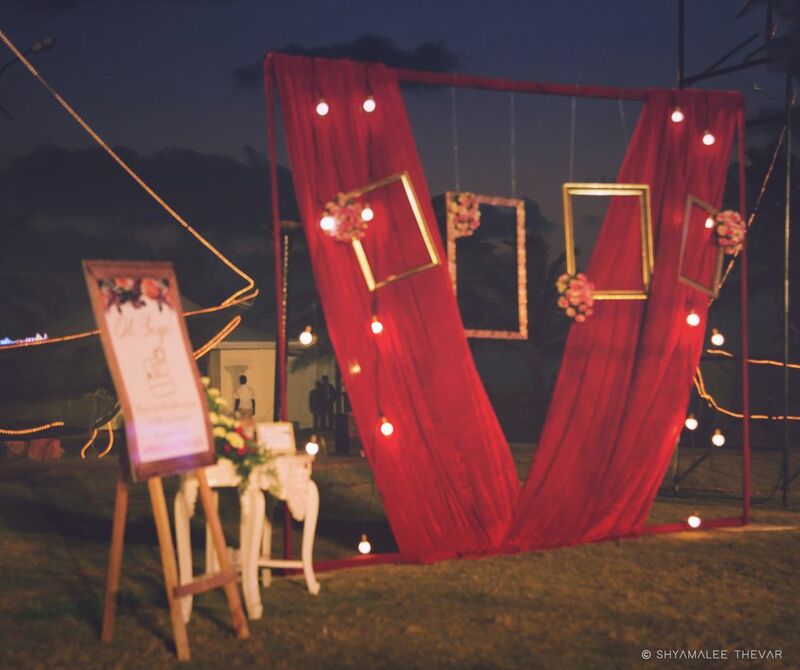 The wedding was a traditional one with deep reds and gold dominating the look of the evening set agains the perfect backdrop of the sun setting in the beach.